The Coalition for Learning + Health is dedicated to creating the conditions for health in our nation’s schools by increasing collaboration between the health and education sectors. 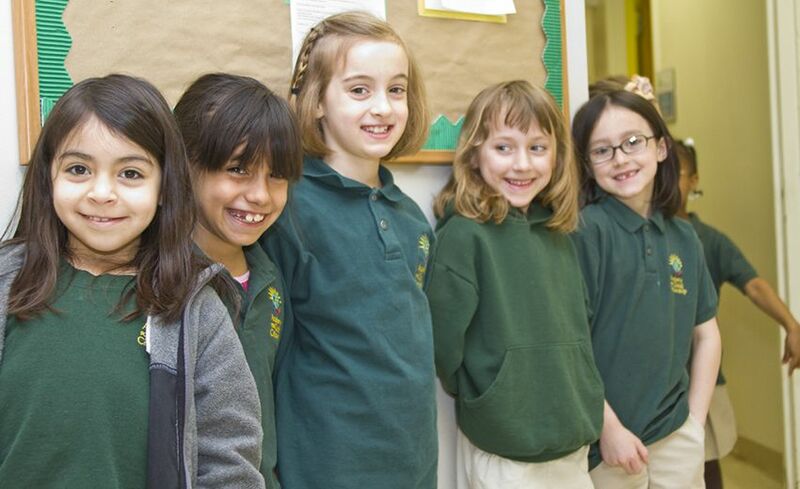 The research is clear: healthier students are better learners. They miss fewer days of school, are better able to focus in class and are more ready to learn. Not only that, but long-term studies reveal they also grow into healthier and more productive adults. Right now is a key moment for health and education stakeholders to come together to build an effective national movement to ensure children can learn and thrive. The Coalition for Learning + Health builds upon the work of the National Collaborative for Education and Health that Healthy Schools Campaign and Trust for America’s Health co-convened over the last four years (find out more about the history of this work in the Background tab). HSC is proud of the foundation this work has given us, and now want to build on this work by launching a new coalition that will actively engage in joint advocacy to connect learning and health. Connecting learning and health means building the systemic supports that ensure schools have tools to build a culture of health for students, including school-based physical and mental health services, physical and health education, clean air and water, healthy food and opportunities for physical activity and play. It means building new connections and data-sharing arrangements between education and health systems, so children with chronic and acute health problems get the services and attention they need. It means promoting a broad definition of health that includes school climate and mental and emotional health. It means providing principals and teachers with the knowledge and skills to build a healthy school environment. It means paying attention to the racial and socio-economic disparities in access to high-quality health and education that impact our most vulnerable students and widen the achievement gap. The Every Student Succeeds Act (ESSA), a major overhaul of federal education legislation, was signed into law in 2015. 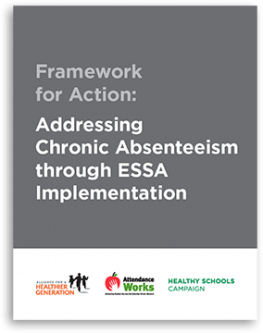 ESSA gives states and school districts significantly more authority and flexibility to create standards for accountability and regulate school performance, and specifically recognizes the need for schools to support the whole child. The law also provides opportunities and incentives for states to prioritize student health and wellness and to address health disparities in order to provide a well-rounded and equitable education program. 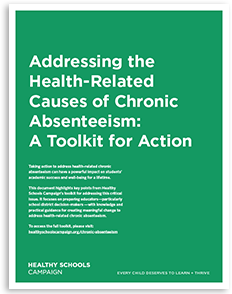 Currently, 36 states include chronic absenteeism in their accountability systems for schools, which means they have a powerful incentive to address its health-related causes. Learning + Health will work with states and school districts as they build health and wellness into their implementation of ESSA. 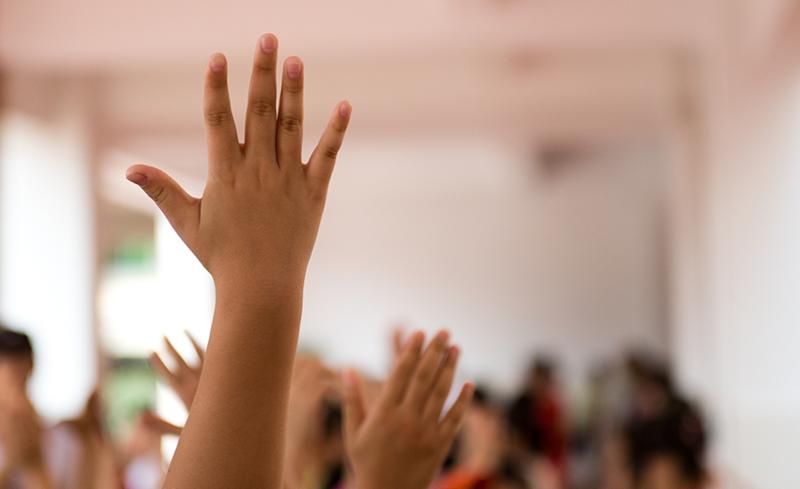 As the health sector increasingly prioritizes prevention, population health, care coordination and chronic disease management, health providers are realizing that school health services are a way for them to engage with otherwise hard-to-reach populations. School health services can also help them meet many of the new metrics they are being held accountable for under the Affordable Care Act. At the same time, changes to Medicaid policy have created the opportunity for many school districts to access a major funding stream that had previously been blocked. Learning + Health will identify and advance opportunities to increase access to school health services through cross-sector cooperation. Healthy Schools Campaign and Trust for America’s Health launched the the National Collaborative on Education and Health in March 2014. The Collaborative brought together advocates, policymakers, school stakeholders and funders to work toward more fully integrating education and health. This vision including both building schools’ capacity to address health and wellness needs and building the health sector’s capacity to engage the community, including schools, in truly promoting health. The work of the National Collaborative grew out of Health in Mind, an initiative created by Healthy Schools Campaign and Trust for America’s Health to highlight the need for increased collaboration between the education and health sectors. In 2012, HSC and TFAH released the report Health in Mind: Improving Education through Wellness and presented a set of key policy recommendations to then-Secretary of Education Arne Duncan and then-Secretary of Health and Human Services Kathleen Sebelius at a public event attended by advocates from both the health and education sectors, including the presidents of our nation’s largest education unions. More than 150 attendees from 80-plus organizations gathered for the presentation of these recommendations. More than 80 organizations signed on in support of the Health in Mind vision. At the inaugural steering committee meeting of the National Collaborative in 2014, the group identified five key issues and charged working groups to develop reports outlining the challenges and opportunities in those areas. Their reports are below. Given the education sector’s increased emphasis on data-based decision making and transparency and given the importance of health to all students’ ability to learn, there is an important opportunity for integrating health and wellness metrics into public reporting systems used by the education sector. Incorporating metrics for health and wellness into public reporting systems can provide educators, policymakers and the public with a more complete understanding of how student health and wellness are shaping learning and provide a complete framework for improving academic achievement. Read the Metrics Working Group Report. While schools have always been an important center for providing safety net and emergency care for students and having healthy students is important to learning, the growing complexity of the health challenges faced by our students requires a reexamination of the health-related services and programming available within schools and how they are financed. The time is right for this reexamination given the transformation taking place within the health system that puts more emphasis on prevention and population health. Read the Health Systems Working Group Report. Chronic absenteeism—or missing 10 percent or more of school days for any reason, excused or unexcused—is a proven early warning sign of academic risk and school dropout. 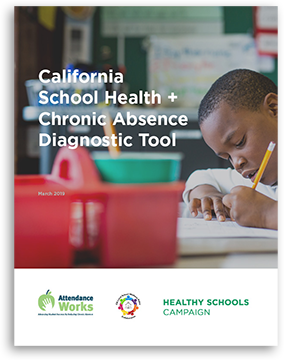 While the causes of chronic absenteeism are multi-fold, research shows that student health issues are a leading contributor. 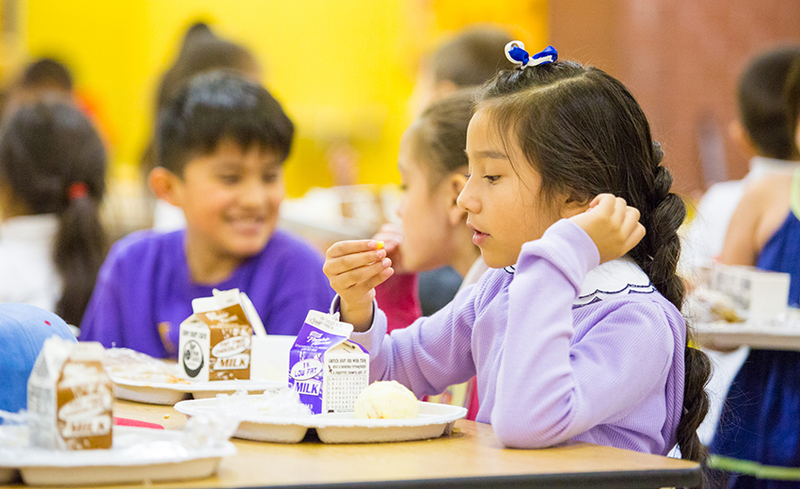 As a result, ensuring students are able to attend school in healthy school environments is a critical strategy for addressing chronic absenteeism. Read the Chronic Absenteeism Working Group Report. Substance misuse remains a serious problem in the nation’s schools. However, very little focus has been placed on primary prevention and early screening and treatment. It is clear that a multi-pronged approach is needed: one that looks to universal interventions (reaching all school children) that are proven to prevent substance misuse in the first place, identification of those at high risk for substance misuse so more targeted interventions can be provided, and referral or provision of treatment for those who are already misusing substances. Read the Substance Misuse Working Group Report. Mental health and learning are deeply interwoven—strong mental health is a foundation for learning, and academic success impacts mental health. Despite growing evidence on what works to promote mental health, these interventions are not widely implemented in schools and early care and education. Evidence-based mental health interventions and positive school climate promotion strategies can support academic goals and improve outcomes for students, teachers and administrators. Thus, while positive mental health is a valid goal in and of itself, it is also central to the mission of teaching. Read the Mental Health Promotion Working Group Report. 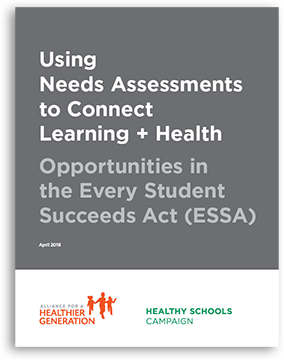 This guide is intended to highlight the ways that school needs assessments required by the Every Student Succeeds Act (ESSA) can be a valuable tool in identifying, understanding and addressing health conditions that contribute to poor academic performance. It provides child advocates, community leaders, school personnel and other key stakeholder groups with the information that they need to convince their state and local education leaders to make health and wellness a significant component of the needs assessment and school improvement process. Untreated and undertreated mental health conditions remain a substantial factor in stifling academic achievement. 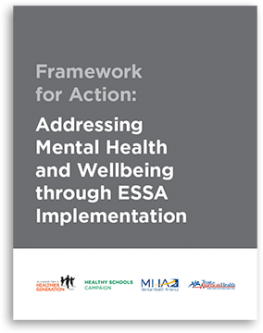 Under ESSA, education leaders have the opportunity to remedy some of these underlying issues to ensure that schools integrate more evidence-based mental health promotion and treatment in the everyday workings of the education system, and help their students thrive and succeed. 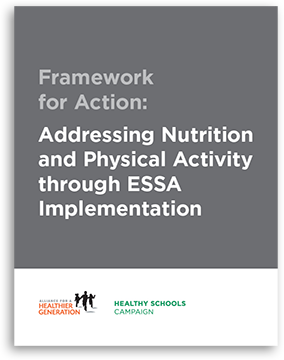 The Every Student Succeeds Act (ESSA) recognizes the need for schools to support the whole child and specifically acknowledges the importance of health and wellness. ESSA also provides an opportunity to ensure equitable access to quality education and the conditions that support student learning. Health is a key part of this. ESSA transitions authority from the federal government to state education agencies. 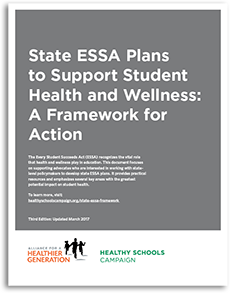 Thus, as states begin to implement ESSA, it is critical they do so in a way that supports health and wellness.